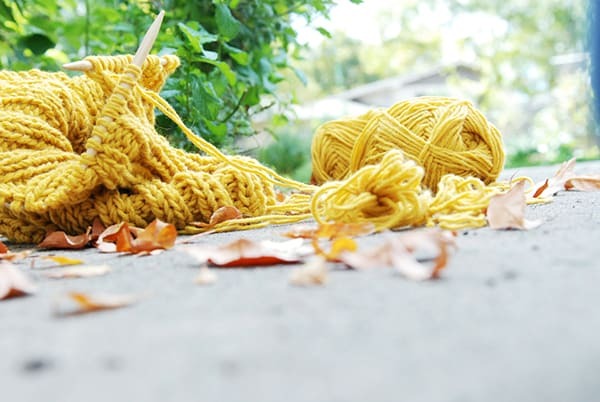 Research shows that knitting produces Therapeutic Benefits associated with other Mindful Meditation practices, including relief of stress and anxiety, depression, chronic pain, and more. The repetitive movement and focus employed in knitting promotes development of the neural pathways in the brain, calming the mind and body, and improving cognitive health. In these fun, interactive workshops, we’ll sip tea, socialize, and learn the ancient art of knitting, while creating a handmade scarf. The workshops are on 2 consecutive Saturdays, in 2 hour sessions. You’ll learn how to cast on and cast off stitches, and knit a simple stockinette pattern. If you already know the fundamentals of knitting and want to do a little more complicated scarf pattern, that option will be offered as well. To participate, you’ll need a pair of size 10 straight, single pointed knitting needles (available at Joanne’s or Michaels), and 2 balls of Aran or Worsted weight (4) yarn ( I don’t recommend dark colors if you’re a beginner). $50 paid in advance. $60 walk in, if space available.